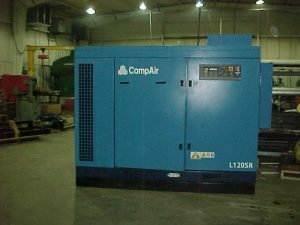 We service all major brands of air compressors as well as related equipment. Whether you’re faced with a start-up, shutdown, emergency breakdown, or just need a reliable back-up, RWI can satisfy your temporary compressed air needs with a unit from our rental compressor fleet. We have compressor units and air treatment products (dryers, filters, aftercoolers, tanks, etc.) available in a variety of sizes to suit any application. Contact us for more information about our daily, weekly, and monthly rental rates. Electric rentals from 5hp – 600hp. Trailer-mounted air delivered to your door. RWI’s trailer-mounted electric rental compressors are cheaper, cleaner, more convenient, and operate more consistently than their diesel counterparts. There are no hassles related to refueling or changing filters, and no environmental disposal fees. The units are self-contained and need only be wired to your disconnect and piped to your airline. For convenience, hoses and wire are available with your rental package.